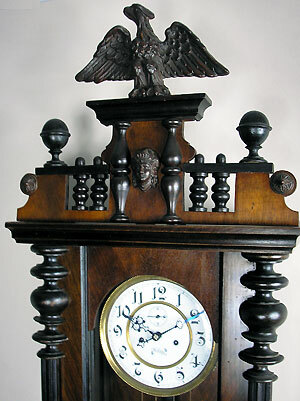 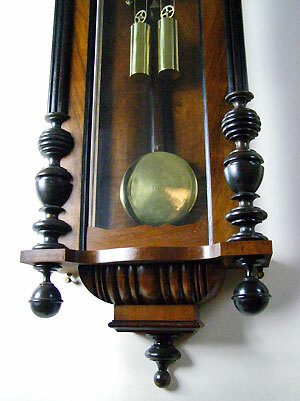 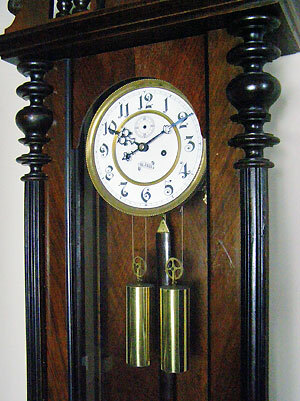 This is an eight-day double weight Vienna regulator clock with trade name Blaenda on the dial. 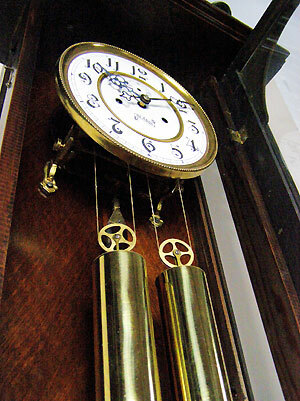 The gong-striking movement maintains power and deadbeat escapement. 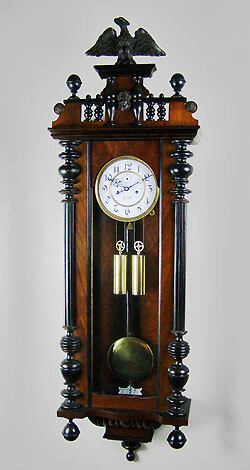 The clock's two piece enamel dial has Arabic numerals and subsidiary seconds, and the walnut veneered case has original mounts, finials and eagle.